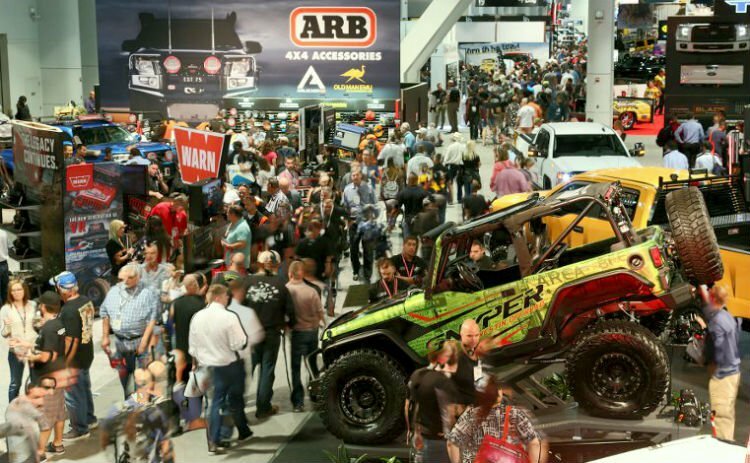 The 2016 SEMA Show spotlighted thousands of new must have truck and RV gadgets for outdoor enthusiasts. Unique accessories and equipment that add convenience and excitement to camping trips left buyers enthusiastic. SEMA 2016 attendees pack Las Vegas Convention Center. The annual SEMA Show is where hundreds of manufacturers show off the latest vehicle gizmos for the coming year. We present our favorites here and in this previous great truck and RV gadgets at SEMA 2016 article. RVers and campers who love off-the-beaten-path destinations know that sometimes adventure comes at a price. Getting your RV stuck in mud, sand or snow is one of the biggest. A new rugged device called the Trac-Grabber rescues anyone from this common camping blunder. Inexpensive, compact and relatively lightweight, Trac-Grabber adds traction between tires and terrain. Additionally, the device allows wheels to spin to the point where the Trac-Grabbers engage, lift, grab, and move the vehicle back to stable ground. 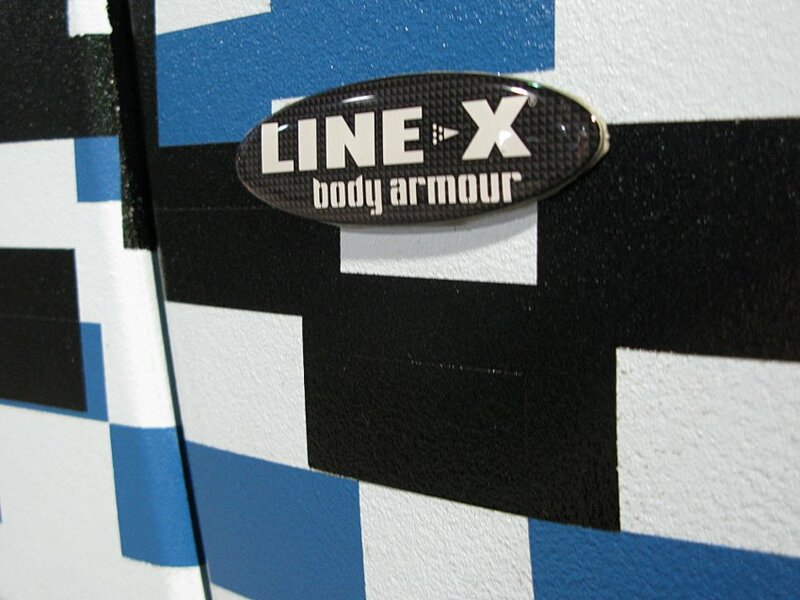 Put Line-X on the outside of your vehicle! If your pickup truck has a spray-on bed liner, you know how this accessory adds extra protection to one of your biggest investments. But in a new twist on this truck owner’s ally, the world’s premiere creator of spray-on coatings re-engineered it for the exterior of vehicles – and even RVs. Line-X revealed its “Line-X Ultra” spray-on custom coating that preserves vehicle exteriors that is said to be better than powder coating and industrial paint. The “aliphatic polyurea” sprays thinner than standard elastimer coatings and can be applied as much as 20 mils thick. For more protection, the new Line-X Body Armor vehicle coating can be any color or texture. Both formulas conform to any shape or contour, are impact and fade resistant, and have a lifetime warranty. What’s more, as a bonus, both can be used on any RV, even those with fiberglass exteriors. Many bumper-pull trailer owners use wood blocks as trailer tongue jack supports. These improvised tongue stands are heavy, they rot and they’re ugly. The Fastway company offers a sturdy replacement with one of the most innovative 2017 truck and RV gadgets, The Fastway Flip jack foot. An automatic jack foot, the unit can save users 50 cranks up and down. The self-storing device extends a jack by six inches and doesn’t require springs, cables, pins, or clips. It drops into place automatically when you extend your jack, then tucks up out of the way for towing. Sometimes the simplest ideas solve the biggest problems. 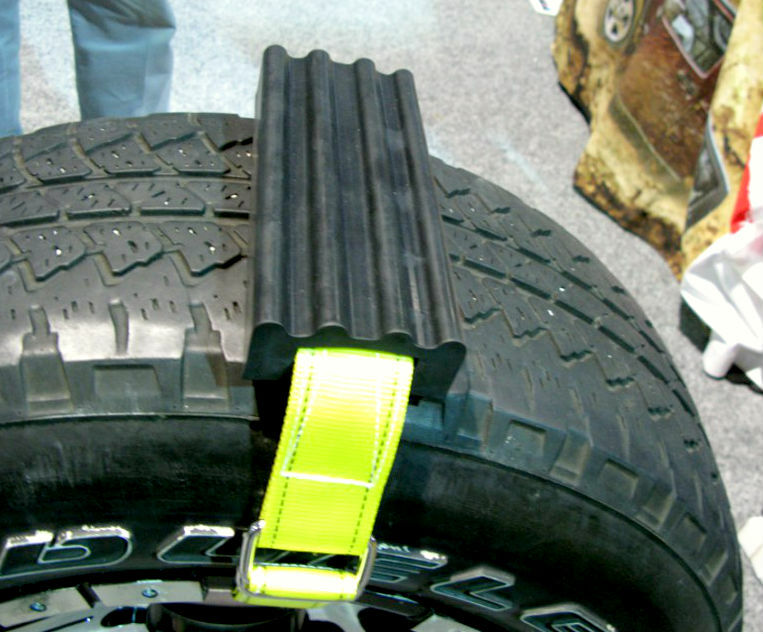 One product we gave notice to was the Tailhook, a truck accessory that helps unload far-to-reach cargo from pickup truck beds. By utilizing a pickup truck’s tailgate for storage, the Tailhook stays in place for times when you need it must. Especially important, future versions of the Tailhook will include an attachable broom, rake and snow scraper, keeping it on our must have truck and RV gadgets list. Watch this Tailhook demo video to see how it keeps truck owners from straining while trying to unload all types of cargo. The swing-out step is great for pets aswell. Another product we highlight is the Belxx 3-in-one ball mount, hitch ball and tailgate step helps people and pets to step easily into a truck or SUV’s cargo bed. According to the company, the unit can stay on while towing and allows users to hitch up to any trailer with a maximum GVWR of 6,000 pounds. 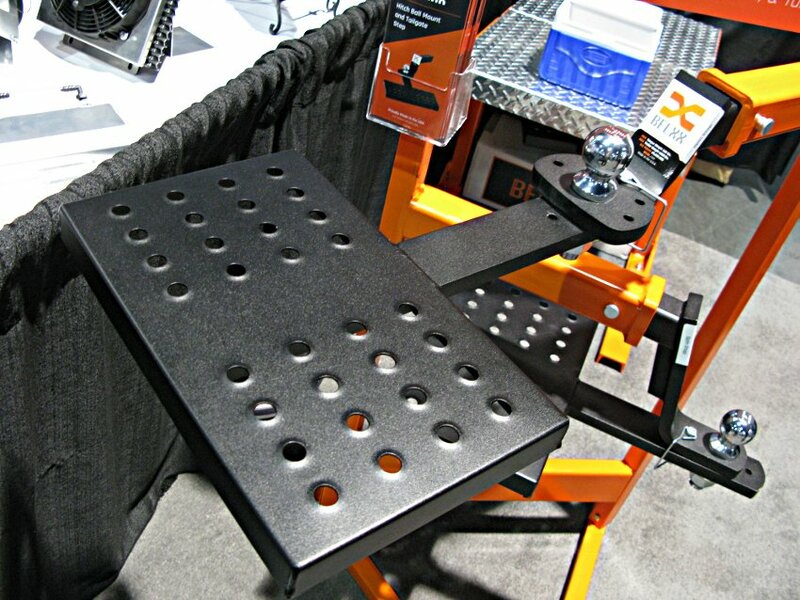 Further, special tools are not required to install this slip-resistant step. Also, it has a 600-pound weight limit and offers two degrees of swing-out accessibility. These 2017 must have truck and RV gadgets are moving the outdoor automotive accessory marketplace into all sorts of fun new directions. We’ll keep you posted when more hit the marketplace. Line-X “20 millimeters thick”? Of course not! That doesn’t make any sense. The information from Line-X is that the Ultra product can be up to 20 mils thick; “mil” means one-thousandth of an inch, not millimetres (or millimetres). 20 mils is 0.020″, or half a millimetre. Again, please don’t write about technical subjects if you don’t know what either a mil or a millimetre is. Thanks for clarifying that Brian and catching the error. The measurement has since been changed. The Fastway Flip jack foot may be a useful gadget, but it can’t possibly be one of the most innovative 2017 truck and RV gadgets, because it has been available for at least a few years.